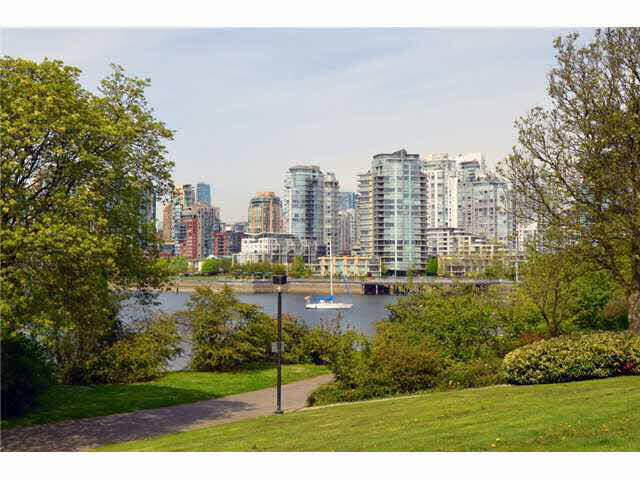 Steps from the Seawall and world famous Granville Island sits this picture perfect 2 bedroom & den & 2 bath 1400sf townhome. Spacious rooms, beautifully appointed and recently renovated kitchen and paint, loads of natural light, sun drenched patio and huge rooftop deck makes this private oasis an ideal home for gardeners, young family or anyone who looking to soak in the beauty of the moment. Surrounded by lush greenery in a quiet cul-de-sac, situated in a wonderfully maintained complex with underground parking, shopping, restaurants, parks, water and bike paths are all at your doorstep. A perfect home for carefree living.